This show is scheduled was broadcast on October 31, 2013. Dr. William Warrick: US military ghouls butchered JFK’s corpse! William Warrick, MD, practices medicine in Gainesville, Florida. Dr. Warrick served in the US Army Security Agency in the 1960s. He is currently a member of Veterans for Peace. Dr. Warrick is JFK assassination researcher well-versed in a crucial, underrated issue: The phony autopsy first exposed in David Lifton’s monumental Best Evidence. 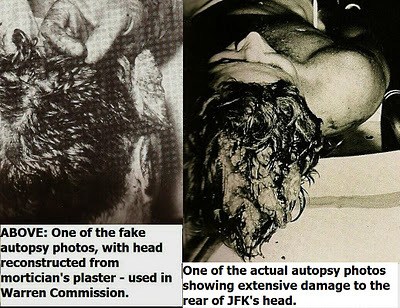 In this interview, Dr. Warrick summarizes the horrific facts about the theft and mutilation of JFK’s body – including what happened to the slain President’s “missing brain” – and puts out an APB on the “deep state” operators behind the crime. Dr. Warrick knew Paul O’Connor, the most important source of information on the covert operations that disfigured the JFK autopsy (and JFK’s body). Bill Warrick can vouch for Paul O’Connor’s sound mind and excellent character, which have been impugned by the usual traitors, scumbags, and useful idiots. This entry was posted on Wednesday, October 30th, 2013 at 3:33 pm	and is filed under Anti-War, Death Squads, False Flag/Fake Terror, Freedom, Justice, Kevin Barrett, News, Protest. You can follow any responses to this entry through the RSS 2.0 feed.